Your pastor is probably underpaid, overextended, suffering from shift work syndrome, and hasn’t had regular working hours his entire career. What do pastors get for their hard work? According to Payscale.com, the average pastor’s salary is $48,828 per year. And yet, the average pastor goes into $60,000 of debt to get a seminary education. Most pastors don’t go to seminary to become rich. Travis Collins writes in his book For Ministers about to Start...or about to Give Up that 75% of pastors experience “severe stress causing anguish, worry, bewilderment, anger, depression, fear and alienation” during their ministry. Sometimes, all it takes to keep pastoral burnout at bay is for a church to crush Pastor Appreciation Month. 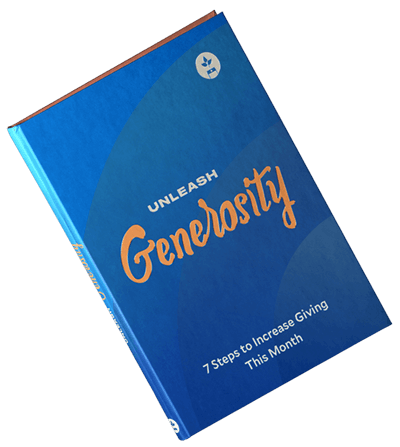 Here are guidelines for how you and your church can excel this October in showing your pastor that he/she is appreciated, loved, and respected in your church. Second, It’s important that when you give an individual gift, the gift isn’t about you. For example, a bad example of a pastor appreciation gift would be a two-hour coffee meeting with me. That is a burden, not a gift. Don’t give the gift of work. Third, give a gift from as many people as possible. The more people you include in the gift, the higher quality gift you can give a pastor. For example, instead of buying a pastor 20 $20 gift cards to Starbucks, one person could take it upon themselves to coordinate the purchase of a $400 espresso machine for the pastor. Trust me — he/she wants the espresso machine. It’s not that you can’t give him a $5 gift card if that’s all you can contribute. But with the possibility of pooling resources and intentional forethought, you could easily make a list of things your pastor would prefer over a gift card. While we’re on the topic, let me preface our idealist with a list of gifts you absolutely shouldn’t buy. Most people think about Pastor Appreciation Month as an opportunity for individuals to express appreciation. The more organized you are as a church, the more meaningful you can make Pastor Appreciation Month for your pastor. This is why we’ll break our 10 killer ideas for pastor appreciation month into individual and corporate gifts. Here are the 5 most meaningful gifts you can give for Pastor Appreciation Month. This is very low-budget. This option exists so that you have no excuse not to give anything. A handwritten letter or note also provides an opportunity for kids to participate. Take time at home to make this a craft for your kids. It will teach kids the value of expressing gratitude to those who serve in the church, and it will teach them about the sacrifice pastors make in dedicating their lives to ministry. Pastors love to eat (maybe a little too much—but hey, you can bring that up on New Year’s Eve, not Pastor Appreciation Month). Buy a pastor a gift card to his favorite restaurant. Order takeout on their behalf. Pastors rarely get the chance to go anywhere. Get them tickets to an event they would enjoy. A local professional sporting event. A concert by their favorite band. A Broadway production down in the city. Just make sure to check with his secretary that the dates work with his schedule. This is an opportunity to do something for your pastor that they would never do for themselves. If you are a professional, it is appropriate to offer your services for free. Just make sure you don’t offer a 20% discount to your services so that you end up profiting from Pastor Appreciation Month. Make it a genuine gift. If you’re going to give your pastor a gift or service that you offer, make it pro bono. I know we criticized gift cards earlier, but they are actually a great individual gift. If a pastor receives cash, he/she may feel obligated to spend it on somebody else. The point of pastor appreciation month is to help the pastor get the care he needs to feel valued and refreshed to continue doing good work. The beauty of the gift card as a pastor appreciation gift is that the pastor is forced to practice self-care. And pastors are notoriously bad at this. Pastor appreciation month is your opportunity to prompt pastors to do something good for themselves without the gift of feeling like they should spend it on someone else. Better than coffee out is a coffee gift card to their favorite local local espresso spot. This way, they can actually use the gift card to enjoy a date with their wife or a relaxing Monday morning. Even better than individual gifts are group gifts. Remember: 40 $10 Starbucks cards vs an Espresso machine. Mobilize a group of people, come up with a good gift that everyone is willing to give, and pitch in as much as possible. Include a card with the gift that includes everyone’s name. Coordinate with your church leadership to pay for a speaker (or elder) to preach one Sunday during Pastor Appreciation Month. Your pastor will appreciate a full week off. Remember: Your pastor never gets to just attend church. This takes a spiritual toll. This gift allows your pastor to exhale and experience church as a regular Christian without taking on the burden of a full sabbatical. Most pastors are bombarded with ads for Logos Bible Software, Olive Tree, and Accordance. He looks upon them with envy. Don’t let your pastor struggle with envy. Get him a Bible study software that enables him to do his job more efficiently and effectively. Make sure it’s the one he/she wants. How do you know which one it is? Ask directly. Ask the secretary. Do you what you need to do to find out. Is it Accordance or Logos Bible Software? If he already has one of these, you could pay to upgrade him to a certain package that he has always wanted. Someone in the church has a cabin or time share somewhere. If that person is you, consider offering a week in your vacation spot to your pastor. Chances are that they may feel like they informally don't have permission to go away on vacation because of the needs of the church. Let them know that they needrest and time to decompress from church as much as anyone needs time away from work. Get your pastor a weekend getaway, either with his whole family, or with just his or her spouse. Pro tip: If you get a couple’s getaway, make sure you offer a trusted family to babysit kids for the weekend so that a gift doesn’t become an expense. Offer your pastor a bonus check. The only risk of a bonus check is that it could become an unhealthy precedent for the practice of pastor appreciation month. In other words, if the pastor comes to expect a gift each year, different gifts can have different meaning. But if he gets a cash bonus one October, he will expect something similar next October. As a general rule of thumb, if you give a cash bonus, make it for an amount less than the value of other gifts you might give. And yet, a pastor will really appreciate a bonus check. In the corporate world, depending on the industry, a bonus check could be anywhere from 1%-5% of a person’s salary, depending on the growth of the company and the resources available in the church. The financial security and sense of belonging that a pastor has in a church will only refortify his commitment to and resolve for the ministry of the church. A happy pastor is an energized and effective pastor. Finally, and this may be the best gift on the list—get your pastor the gift of Tithe.ly ChMS. This church management software allows your pastor to transfer his 72 different administrative processes into a single place. Tithe.ly ChMS does it all in the same place so that he doesn’t have to frantically manage 1,000 google docs and sift through 20 Gmail threads just to find out where Small Group #7 meets and what food still needs to be brought. Get Tithe.ly ChMS for your pastor. You’re buying your pastor more than a church management solution. You’re buying him time and energy. This is worth more than a bonus check, a software, and a gift card. Get Tithe.ly ChMS as a gift to your pastor from your church, and you give him the gift of administrative ease. This way, he can focus more on the real ministry rather than the administrative tasks that often weigh down 80% of his time. Don’t skimp on Pastor Appreciation Month. Make it a month they will always remember. Make it his Christmas season (since most Christmas seasons overwork pastors with double sermon duty).